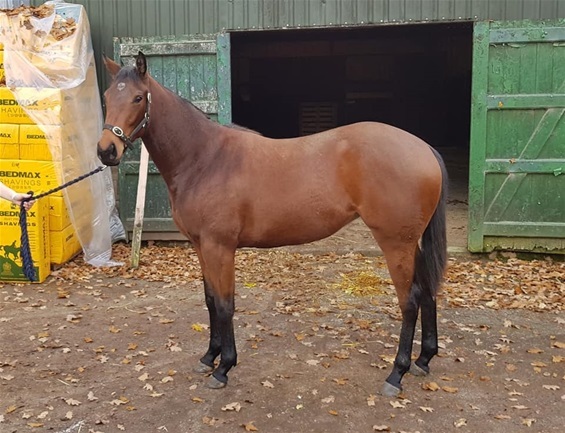 Derbyshire Racing have recently purchased the first offspring by our 7 time winning ex-race mare Available, a beautiful bay yearling filly by the sprint sire Heeraat. Bred at the Mickley Stud by Richard Kent, she is a good moving filly that we think is the type to make up into an early two year old. She is currently being broken in and will shortly be ready to commence her first ridden work. The filly has a very good pedigree on both sides, all speed, and if she takes after her dam she should be a talented, tough and consistant filly. 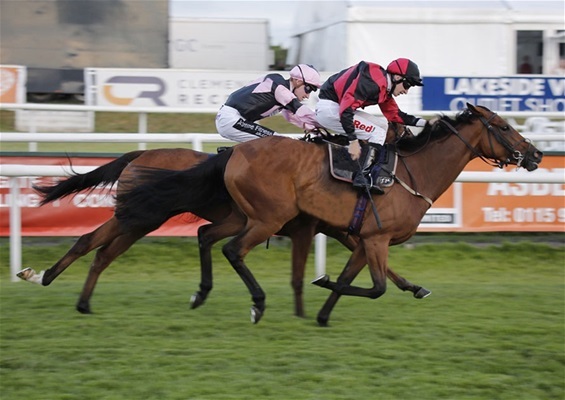 CUSTARD THE DRAGON - Although known as a Southwell specialist having won there 6 times we think there are races to won with him elsewhere and as long as there is a bit of juice in the ground we will target races on turf in the short term. He is in great order and has an entry at Catterick next week. KINGS ACADEMY - He needed his first run for us a few weeks ago at Southwell and will benefit for being upped in trip going forward. He reminds us greatly of our first horse Choristar, who was a similar type that came from the same Inchinor family, and he has an entry in a 1m handicap at Nottingham this Saturday. Share available from £50 a month. INFLEXIBALL - She has come back from her Winter break in great shape and will get an entry in a 1m2f handicap at Beverley next Thursday, a race we have won before with Choristar. She will begin the season on the flat but having schooled really well at the back end of last year the plan is to go hurdling this Spring/Summer. She should be in for an exciting season - shares available from £50 a month. BRIDAL MARCH - Looks a million dollars at present, she has come on plenty physically over the winter and we plan to school her over hurdles soon in preparation for a campaign of novice hurdling this Spring/Summer. Here sire Casamento has produced a few juvenile hurdle winners from his first crop and this filly has the scope for the game. Shares available from £50 a month. "Custard" wins his 6th race at Southwell on New Years Day!! 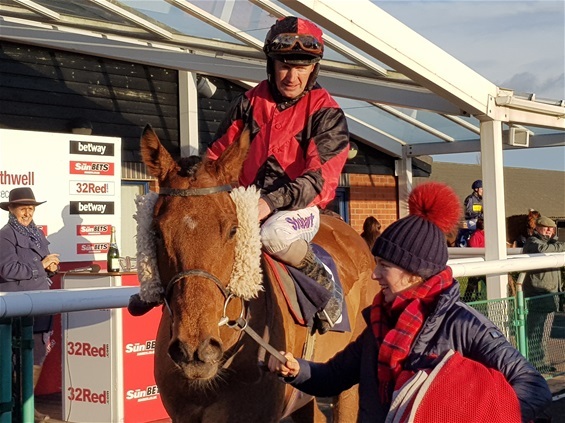 CUSTARD THE DRAGON kicked off the New Year in tremenous syle for Derbyshire Racing owners when taking the competitivef Class 3 7f handicap at Southwell on New Years Day, his 6th C&D win. It also brought up our 40th winner since the syndicate was formed in 2005, all trained by John Mackie. Held up off a strong pace, "Custard" was towards the rear early but once asked to improve by Joe Fanning 2f out he picked up really well and won a shade cosily at the line. He has been a star for us and the yard and in this sort of form promises more to come in 2018 and beyond.